"My 2-weeks-old Baby Is Fighting To Stay Alive After A Heart Surgery"
Narsingh and his wife Sravani were very excited to welcome their first-born into their life. 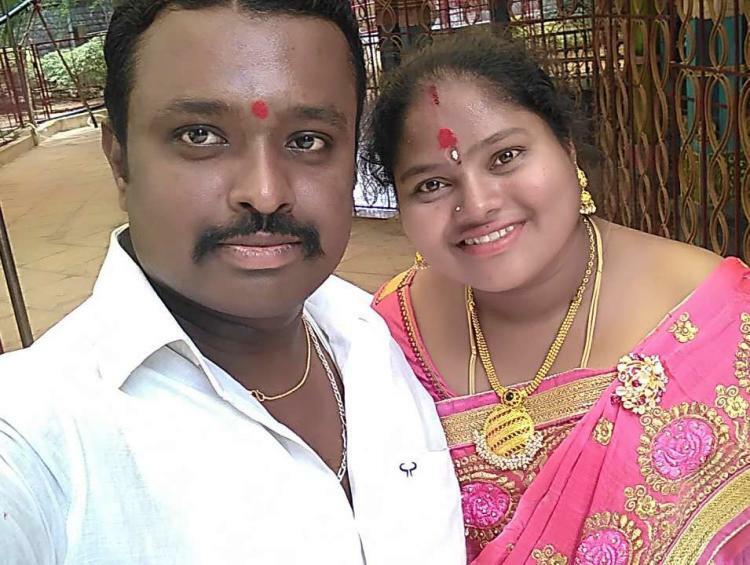 They have been married for almost a year and their joy knew no bounds when they got to know that Sravani was pregnant. But their joy was short lived and as soon as the baby was born, their world changed for the worse. 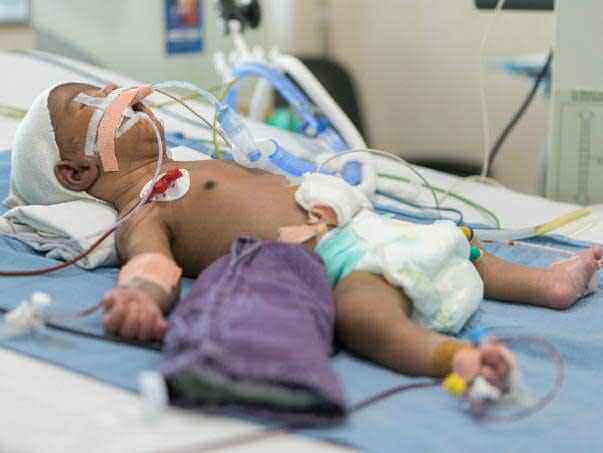 The baby had a heart defect and needed an urgent surgery. He is still critical, but Narsingh and Sravani can't afford treatment any more. Just over 2 weeks ago, Sravani gave birth to a baby boy. Everything seemed normal at first, except that the baby wouldn’t stop crying. He went on crying for one and half days and his parents and doctors got alarmed at his condition. They ran some tests and scans and found out that he had congenital heart disease. 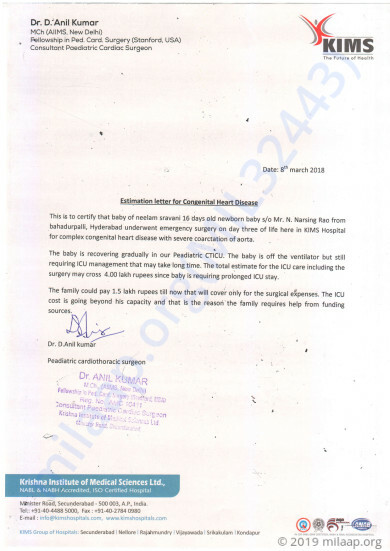 A valve in the baby's heart was blocked and his blood circulation was badly affected. Throughout her pregnancy, whenever she went for her check-ups, they told her everything was normal. The diagnosis shocked the new parents. It especially hit Sravani hard and she went into a shock because of the stress. She became unable to even feed the baby. Sravani’s baby did not have a chance of survival without getting a surgery. They got him an urgent surgery. The surgery was successful, but the baby is still in a very critical condition. 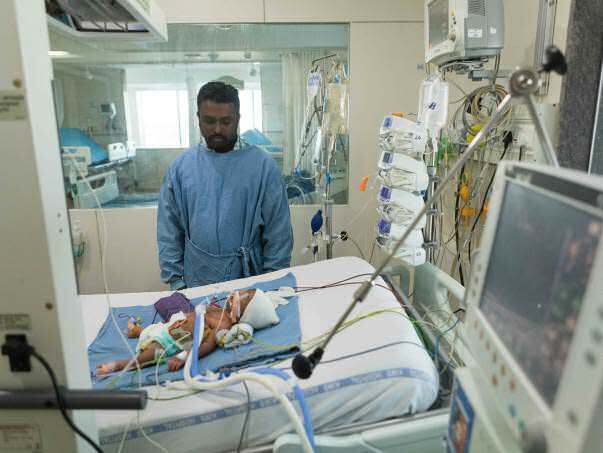 For 4 days after the surgery, he could not breathe on his own and had to be kept off the ventilator. On top of this, his mother’s condition didn’t allow for breastfeeding. An intravenous drip was set up to give him nutrition. 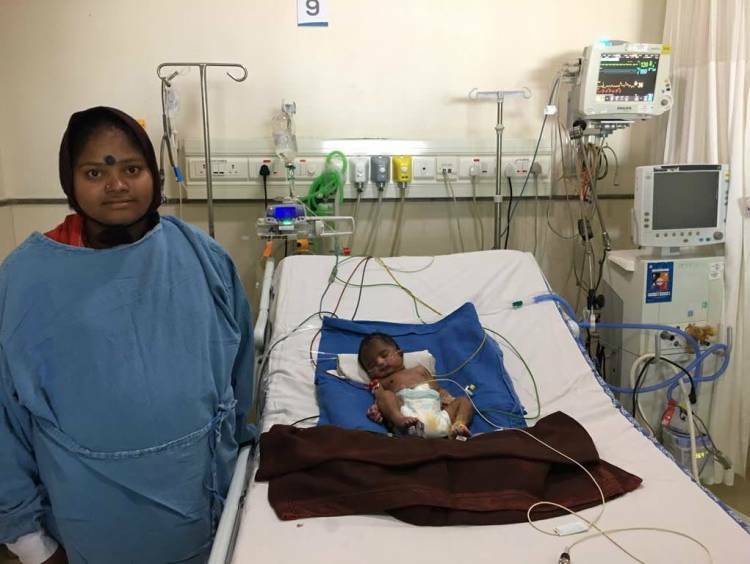 Sravani is slowly recovering and is now at least able to feed her son. The baby is still in the ICU with a lot of tubes all over his tiny body. Owing to his critical condition, he needs post-operative care in the ICU for an extended period of time. Narsingh and his wife are doing their best to provide their baby boy with the care he needs but their bleak financial condition is the biggest roadblock in their way. Since the baby was born, Narsingh has been single handedly handling his son’s treatment, as well as his wife’s recovery. He works as a cashier in a canteen in Hyderabad and makes a meagre income per month. Within that income, he and Sravani run their household of 6 members, including Narsingh’s mother and financially dependent younger siblings. He took leave for his wife’s delivery but due to the unexpected turn of events, he hasn’t been able to go back to work. Narsingh has been on leave for the past 20 days and doesn’t even know if he will still have the job when he goes back to work. He is the only earning member of the family, but because of his prolonged absence from work, he hasn’t received his last month’s salary, making things even harder for him in his current state. In order provide for his baby’s treatment, he has already mortgaged his land and his wife’s jewellery. After bearing the initial costs of the treatment, he is now again without any funds. His only child's son’s treatment may be way beyond his means, but he doesn’t deserve to lose him. 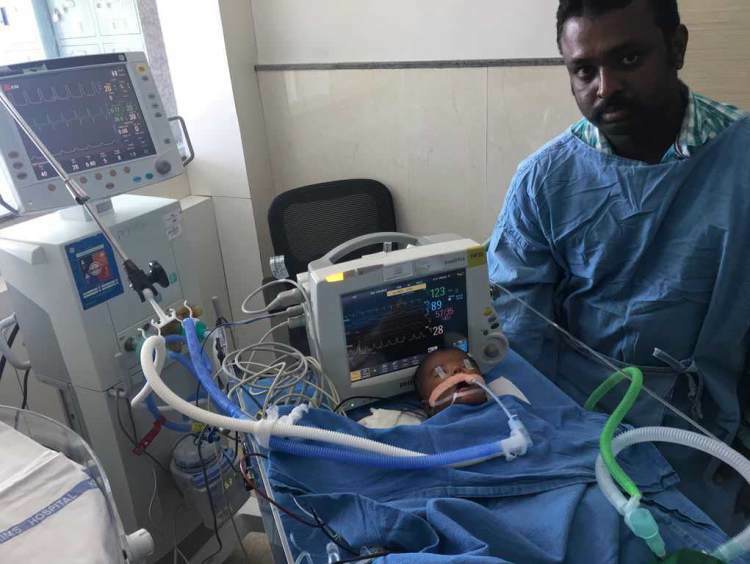 To save his baby from dying an untimely death, Narsingh needs your help. 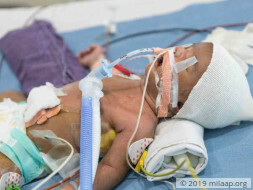 Only your contribution can save his baby and give him a fair shot at life. Our baby is now doing very well and has been discharged. He caught fever and cold and was treated for the same and recovered well. We are all hopeful about his recovery. Thank you once again!